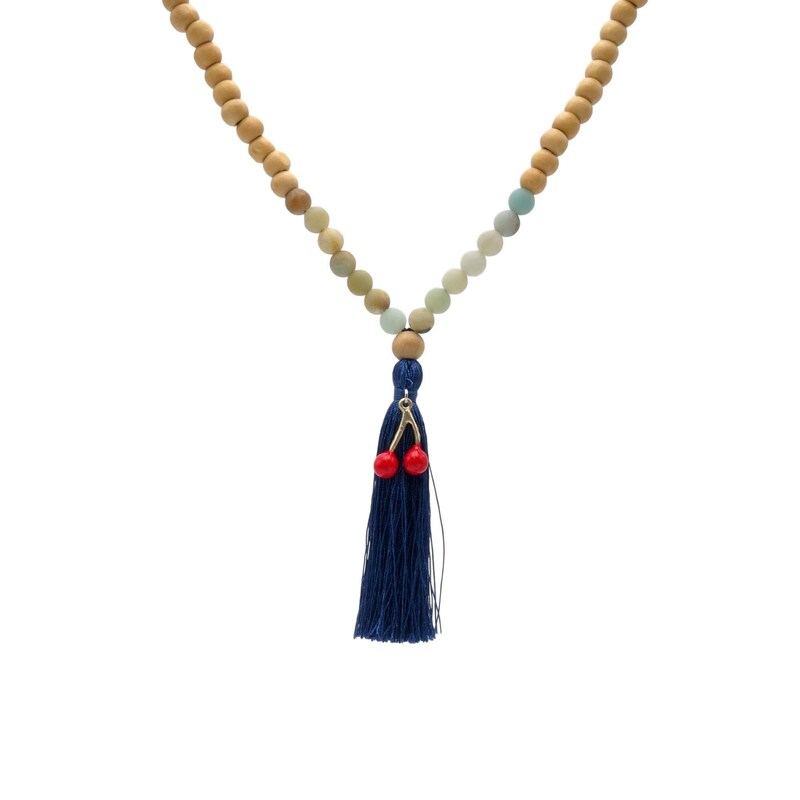 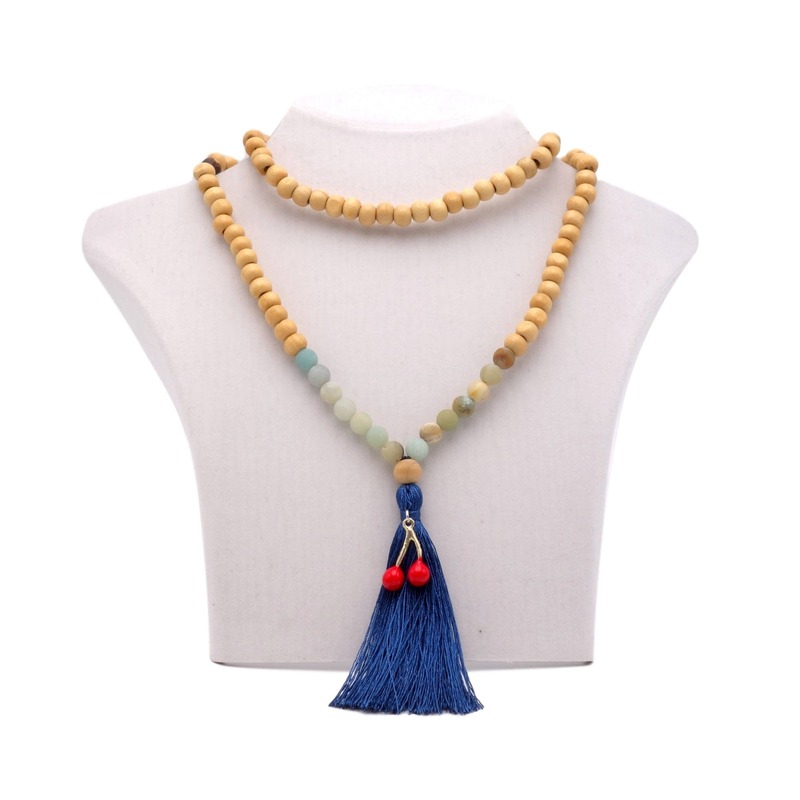 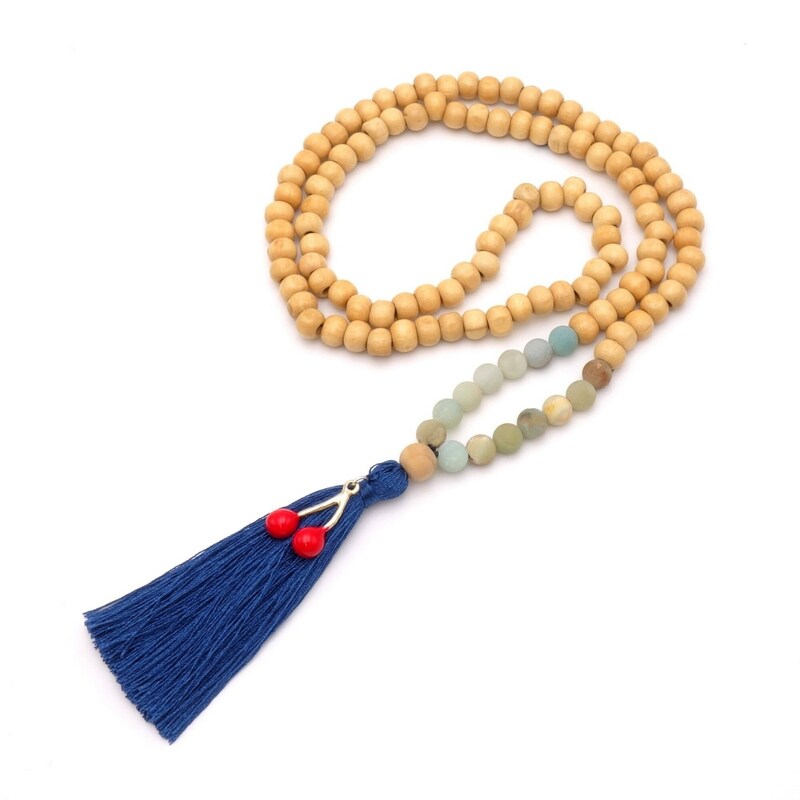 This unique pearl necklace in BOHO style is made of hand-cut wooden beads. 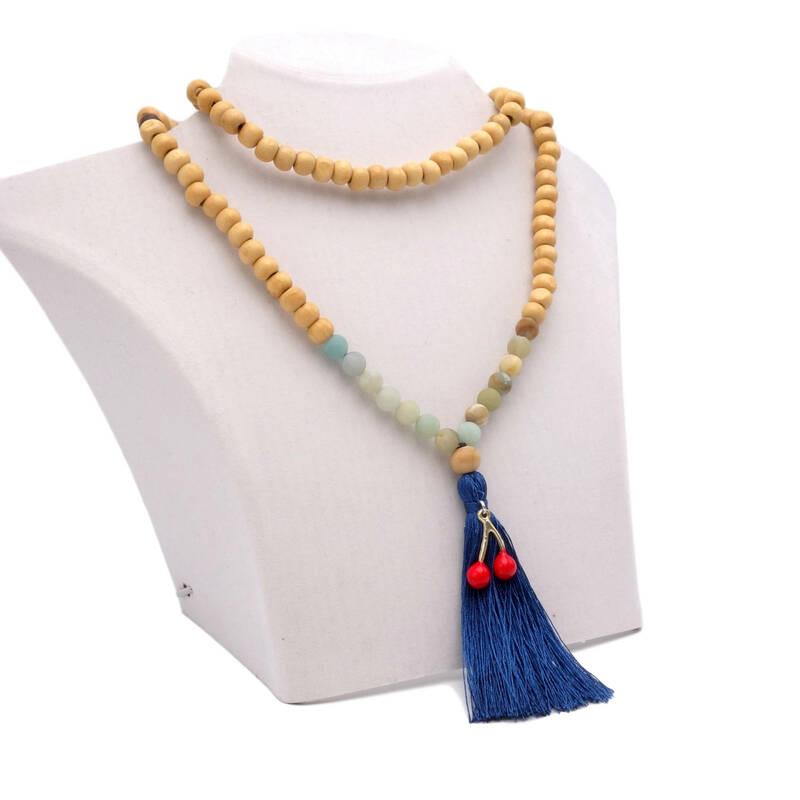 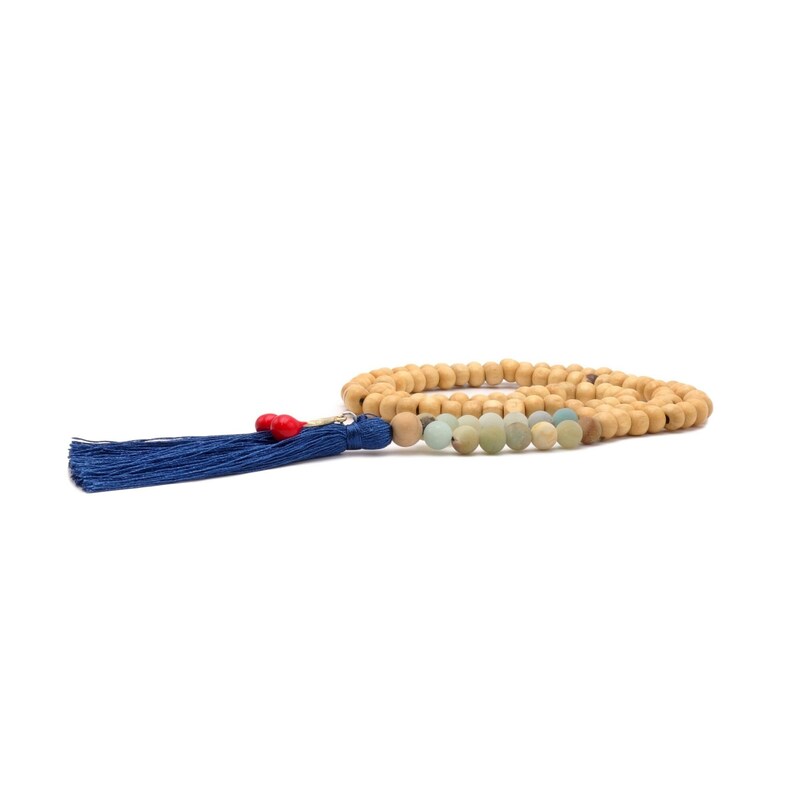 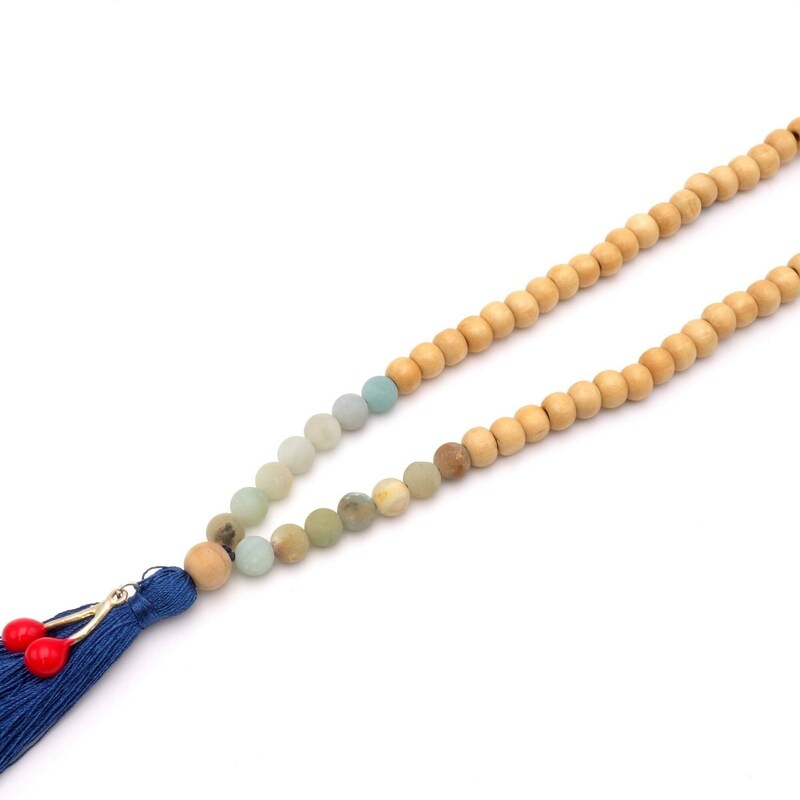 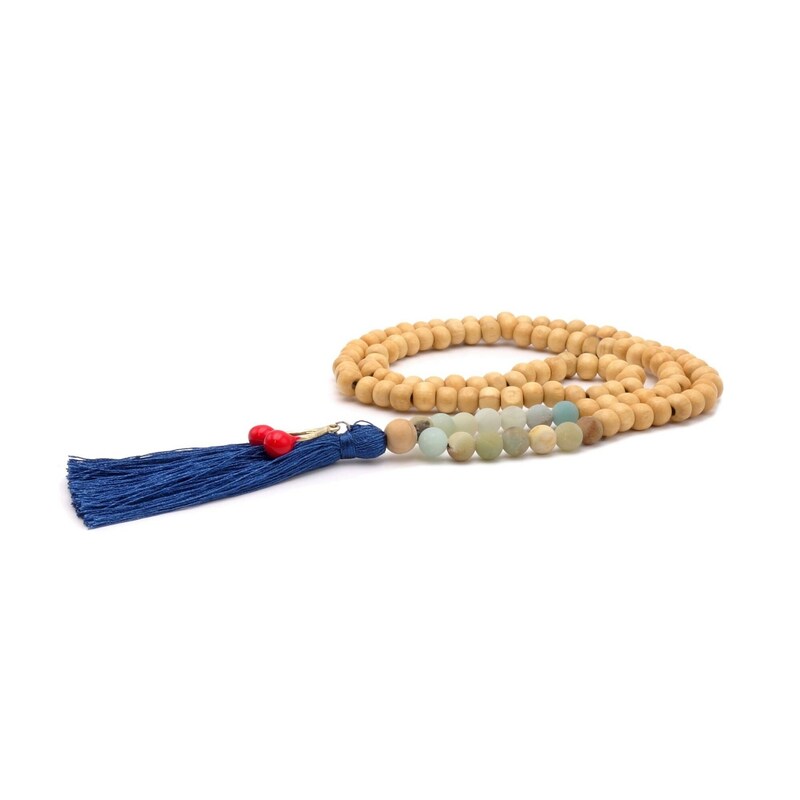 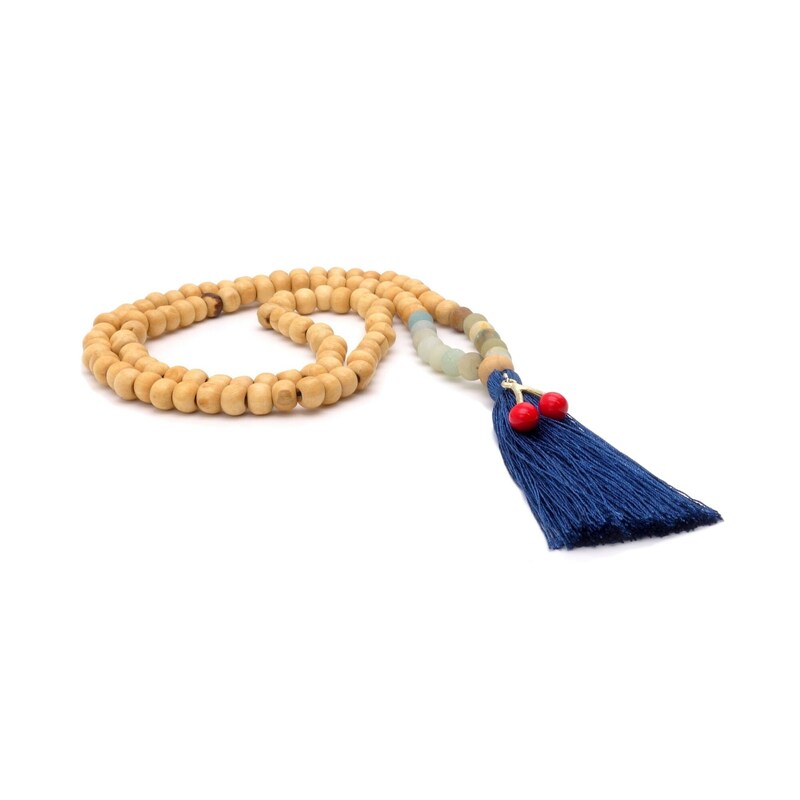 Other highlights include the elaborated stained glass beads as well as a blue tassel. 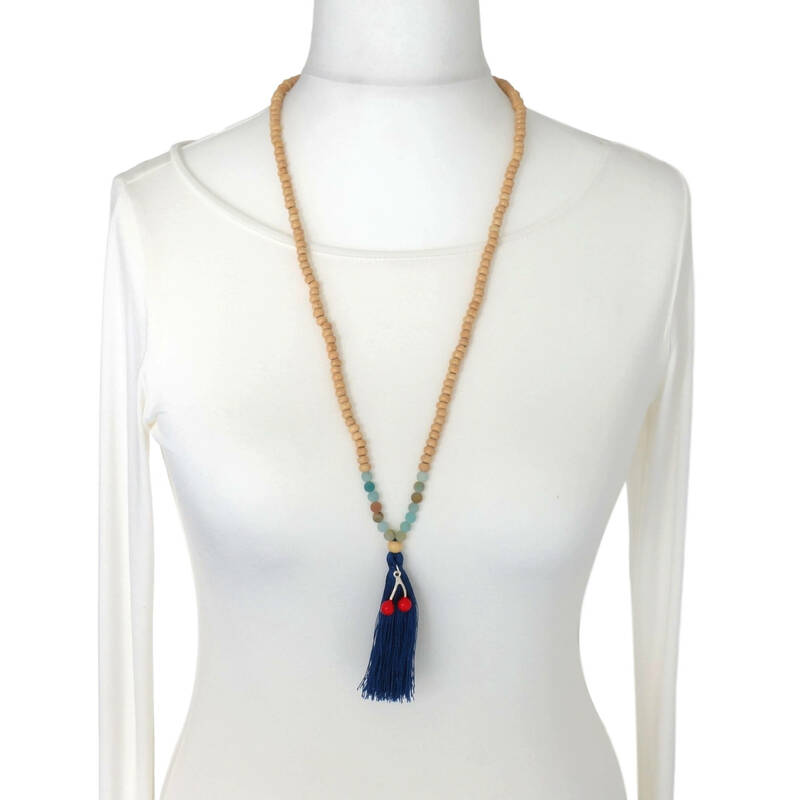 This is adorned by a silver-colored pendant.